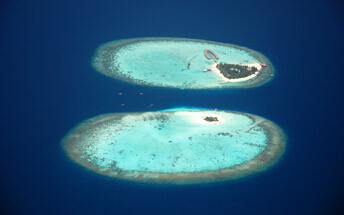 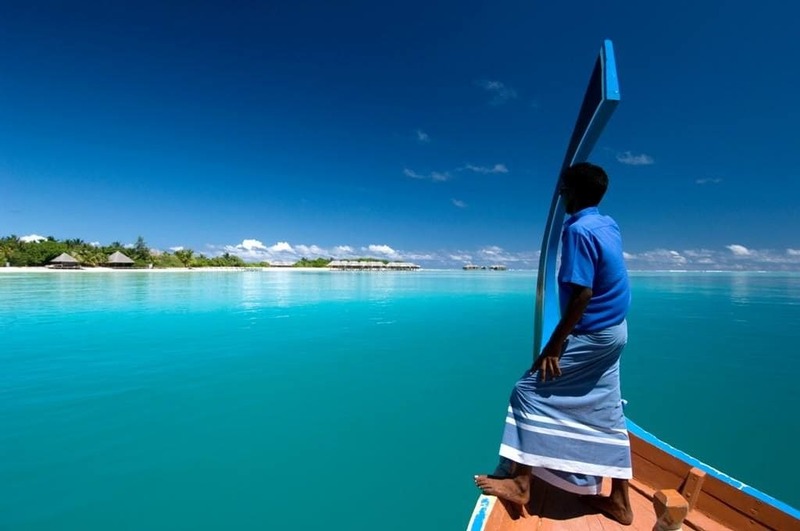 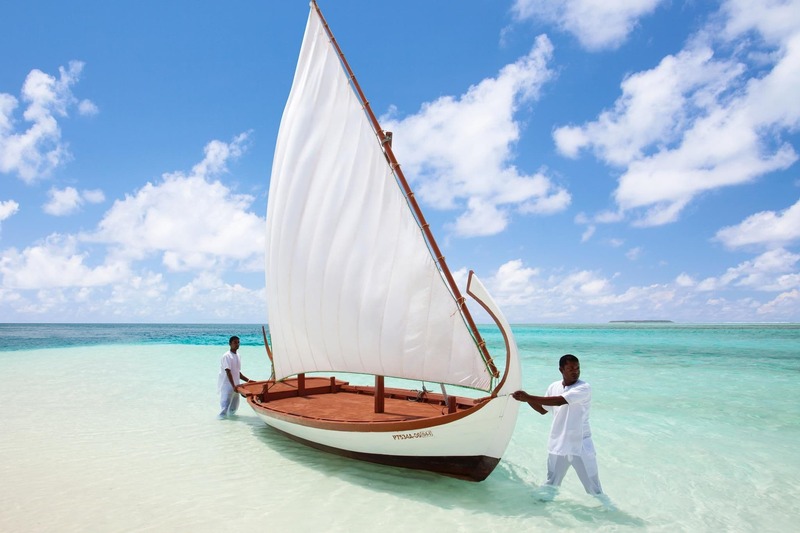 The well-known elegance and glamour of Hilton is enhanced at Conrad Maldives Rangali Island. 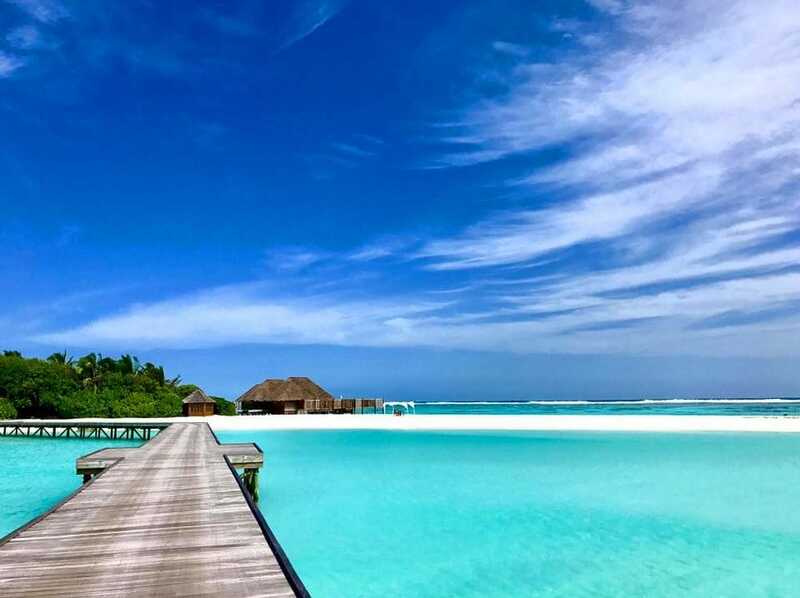 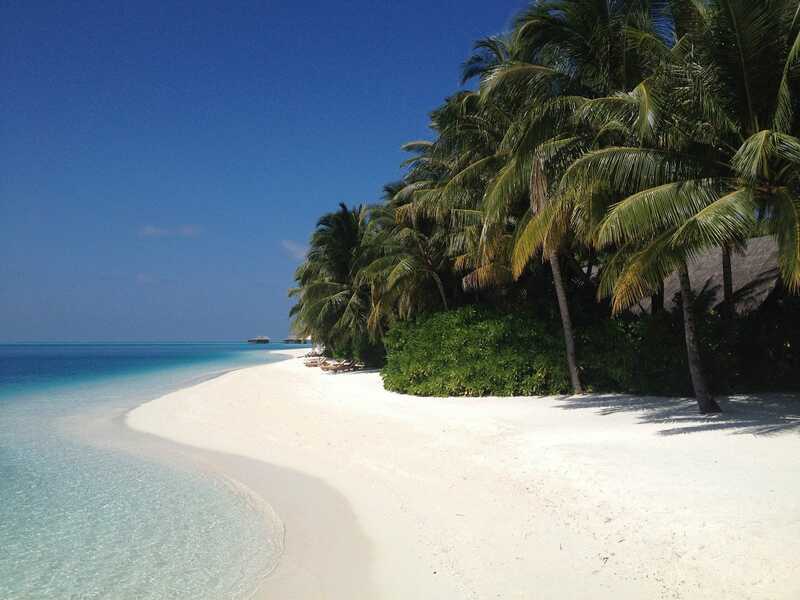 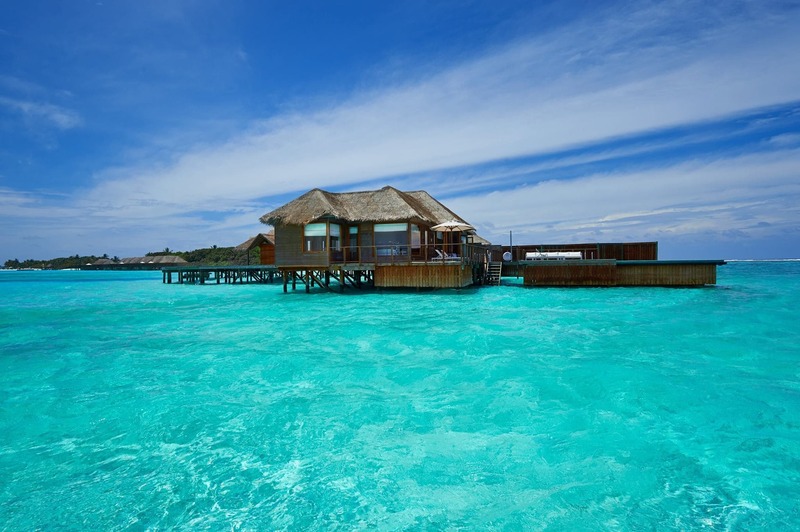 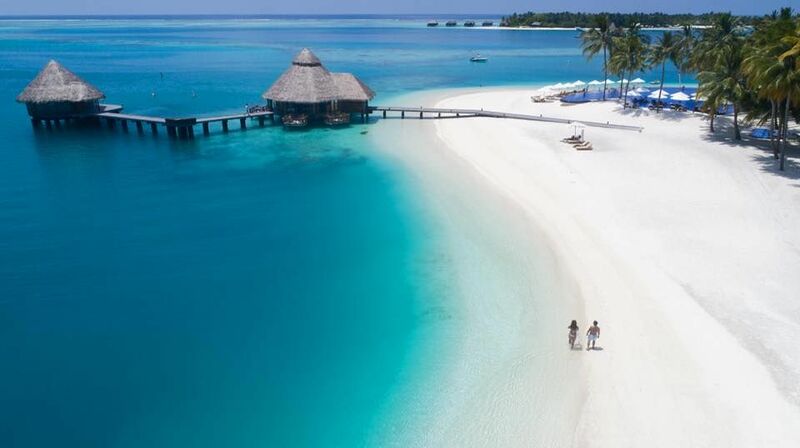 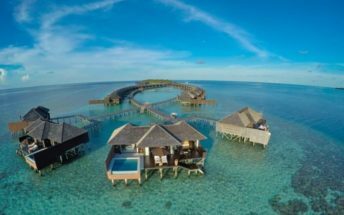 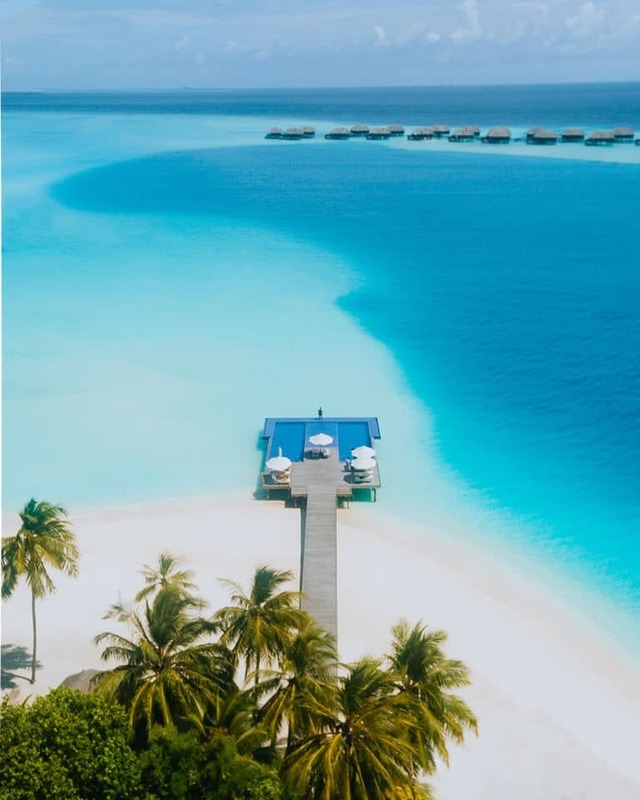 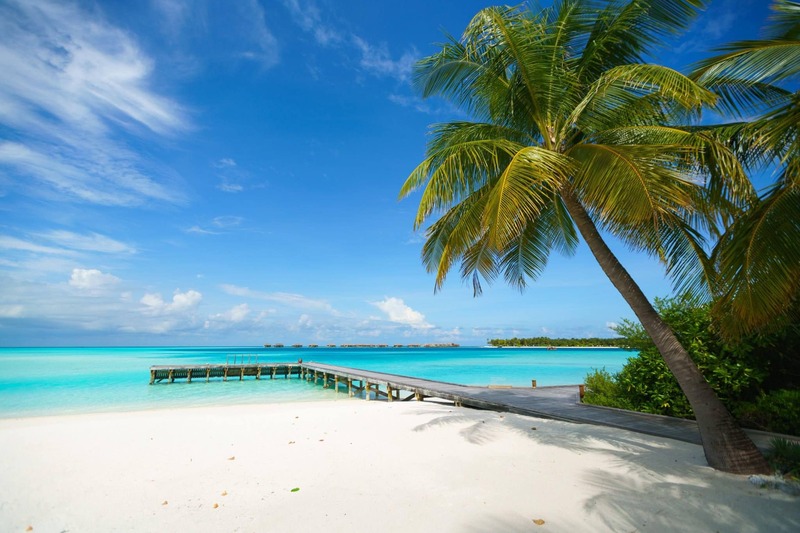 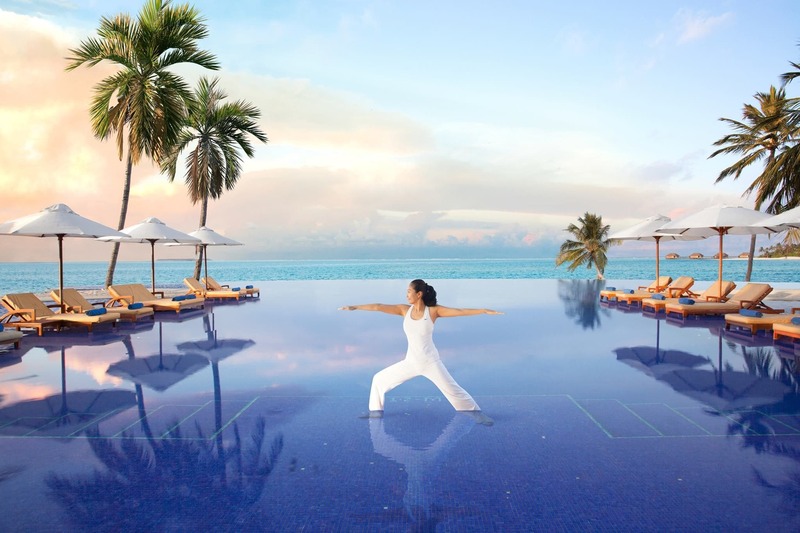 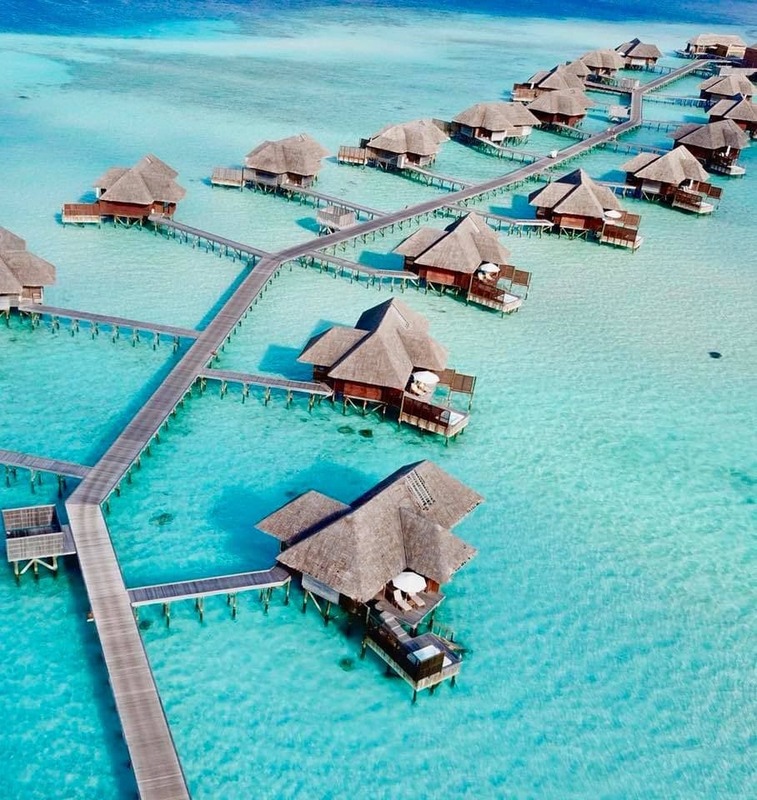 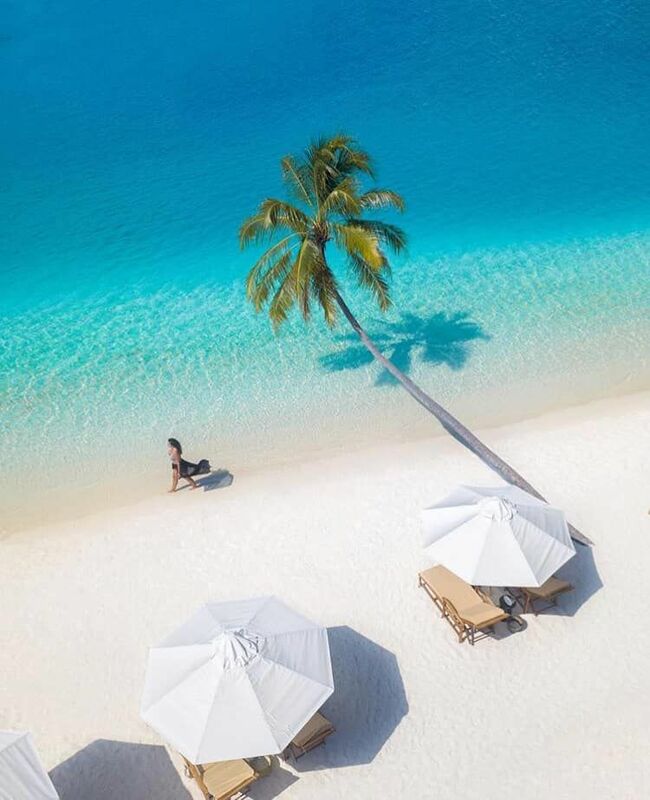 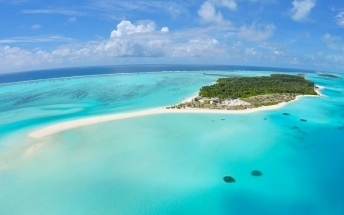 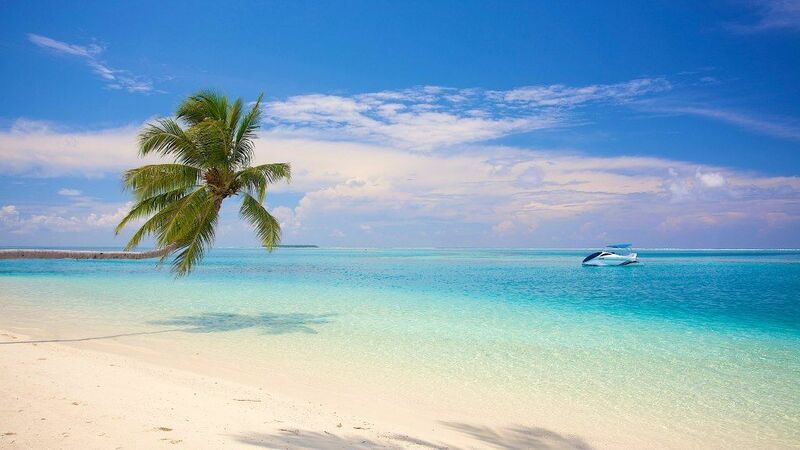 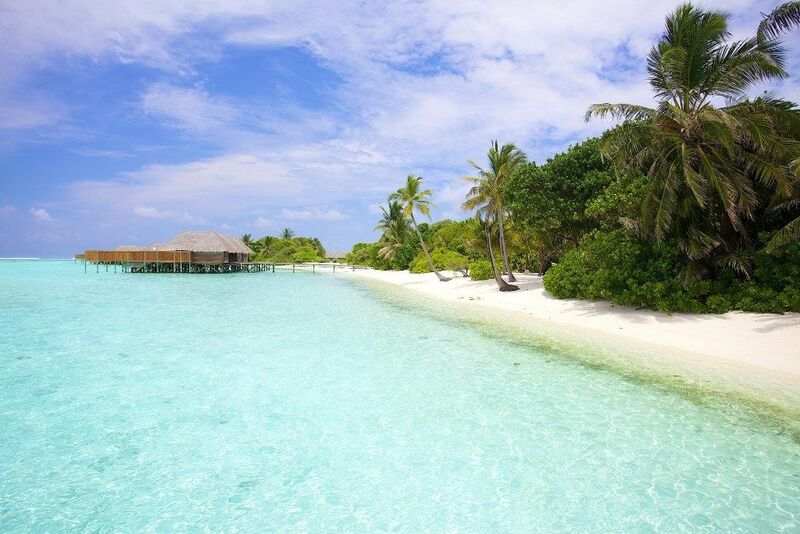 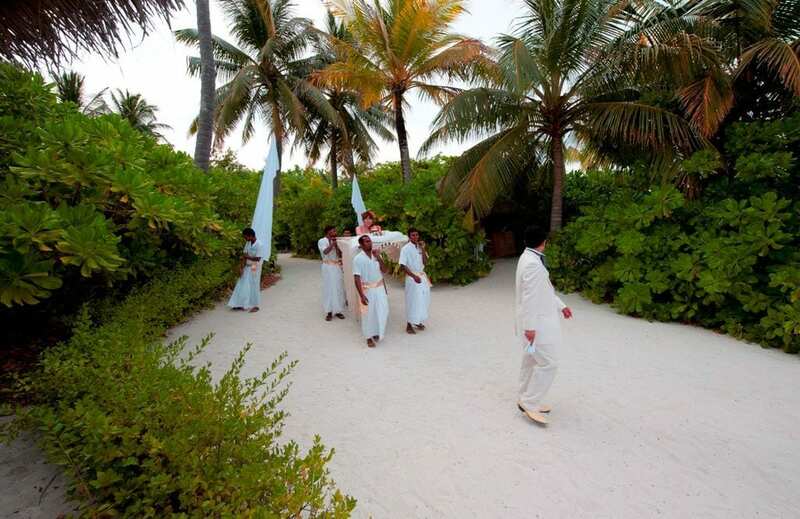 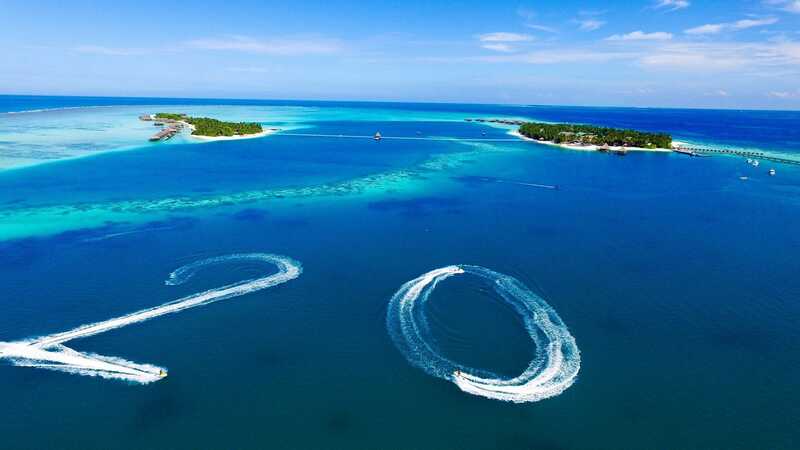 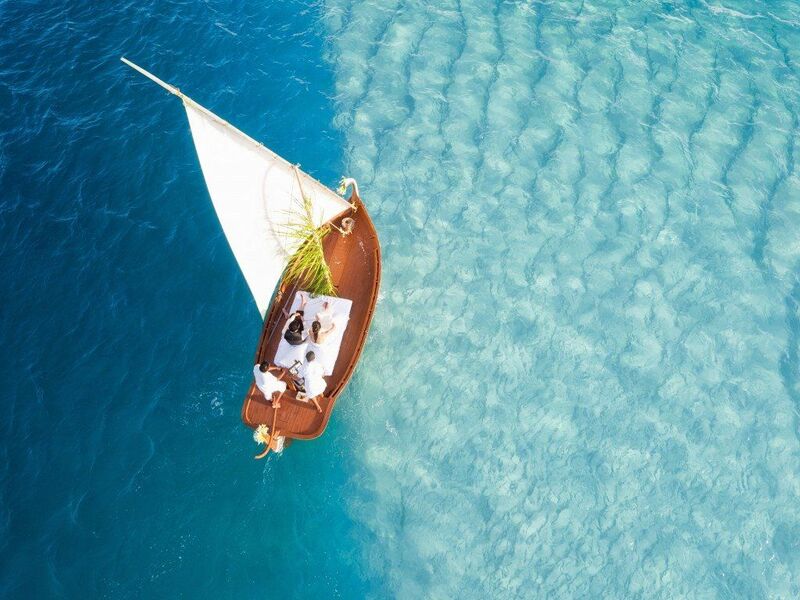 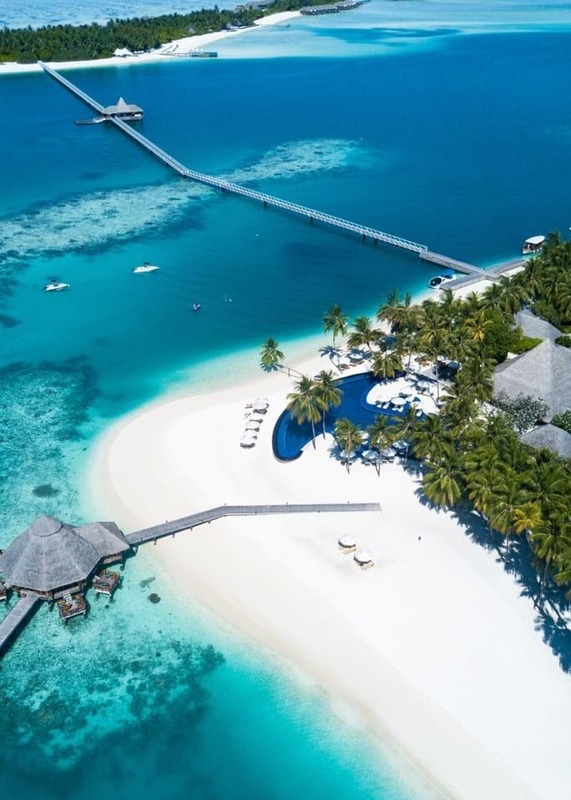 Sited on two islands of the renowned tropical paradise of Maldives, this six-star resort has won many international awards for both its service and élan. 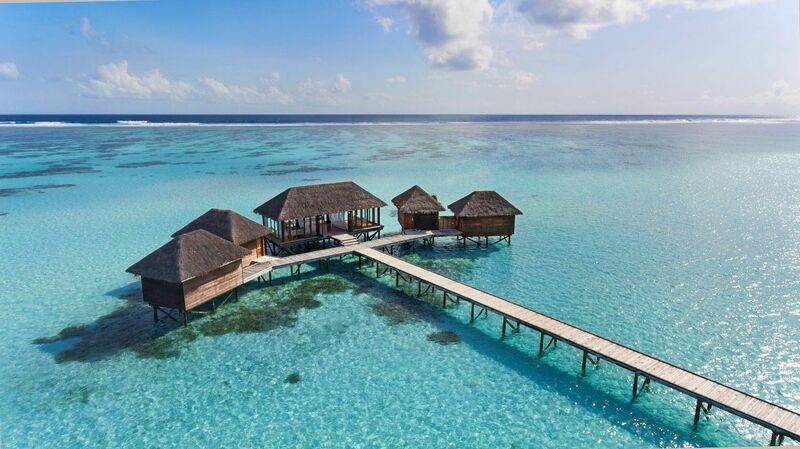 Among the many reasons why Conrad Maldives Rangali Island is among the best Maldives luxury resorts are spectacular water villas that are the best in the Indian Ocean, beach villas, spa water villas with private treatment rooms, over-water spa with glass-floored treatment rooms, restaurants/bars with great menus. 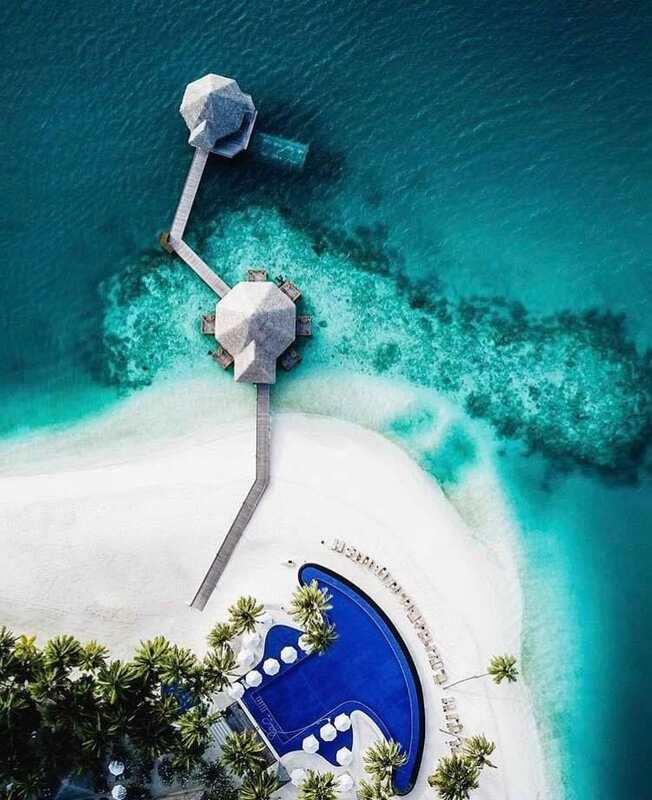 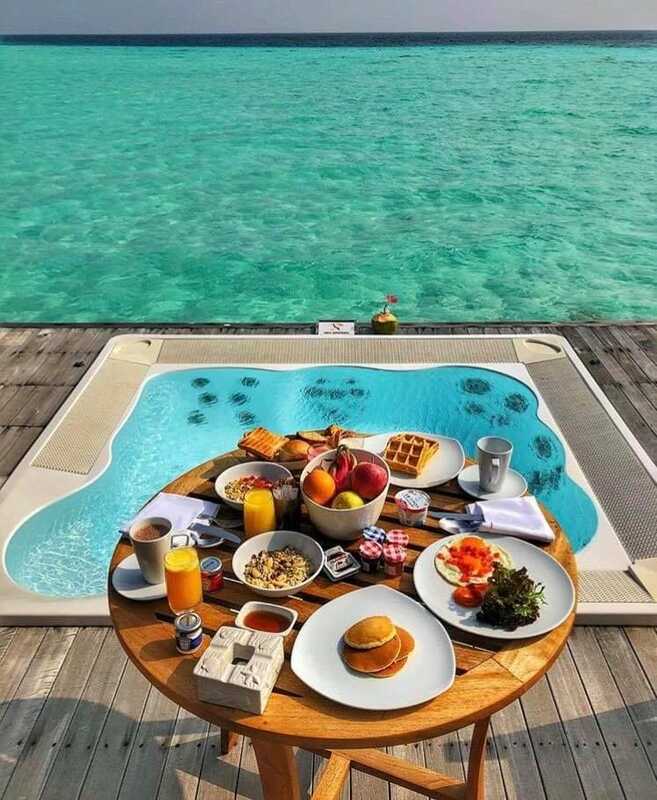 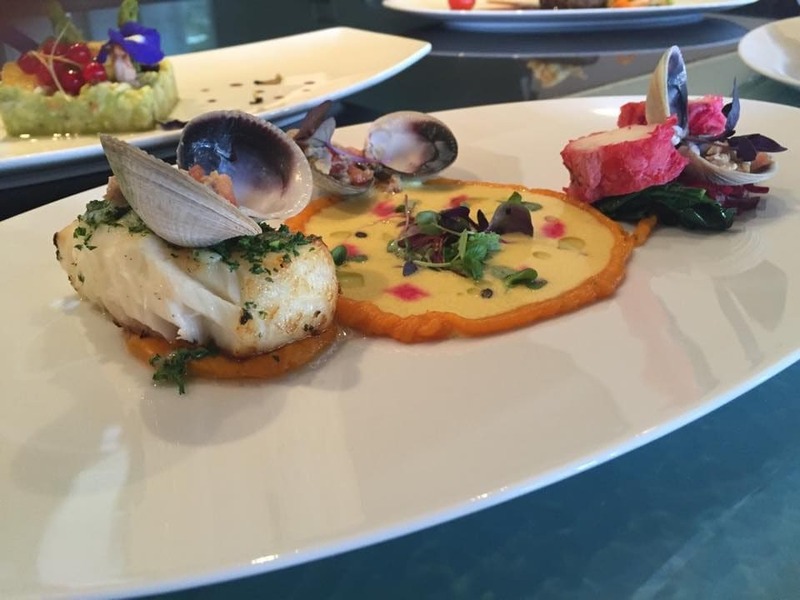 What makes Conrad Maldives Rangali Island one of a kind worldwide is that it houses the only completely underwater restaurant in the whole world. 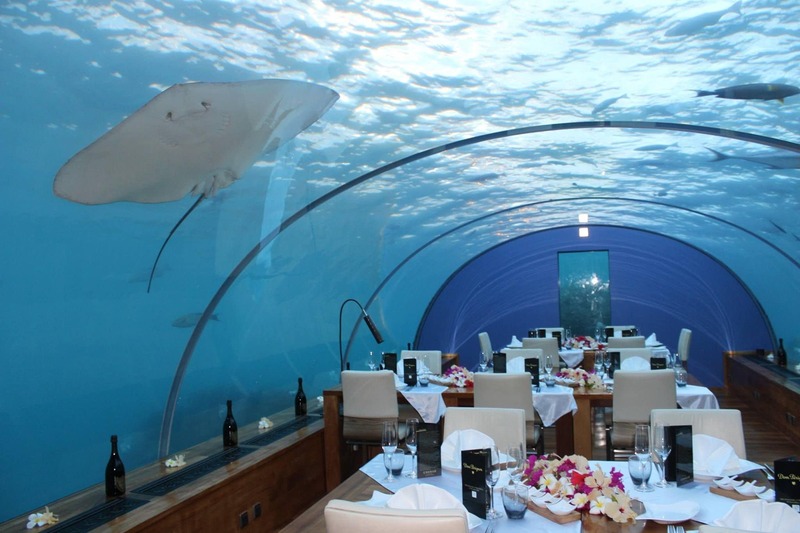 The Ithaa Restaurant sits 15 feet below the waves of the Indian Ocean, surrounded by a coral reef and encased in clear acrylic, offering diners 270-degrees of panoramic underwater views. 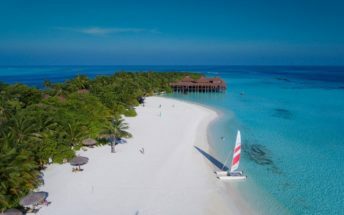 As all resorts in the Maldives, Conrad Maldives also offers spectacular house reefs and trips to world renowned dive sites for snorkeling and diving. 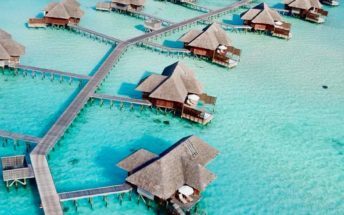 Also facilities such as a games room, Internet room with free access (along with wireless Internet), and a large shopping plaza ensure all guests are fully occupied no matter what their preference.